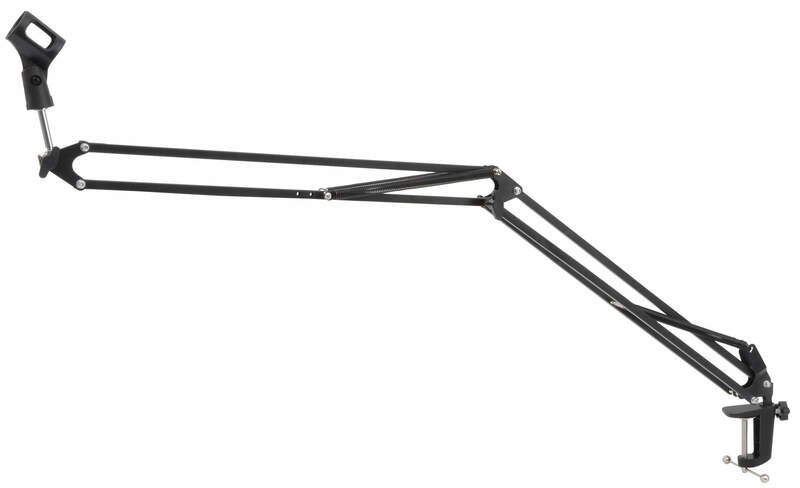 A professional microphone boom arm with desk clamp for studio or broadcasting use. Featuring spring retraction for quick and smooth positioning and a lockable hinge for safety. Vertical reach - 710mm max. Horizontal reach - 720mm max.